One of the rendering facilities on Barren Island. Date unknown. A long, long time ago, a younger, grubbier New York City dumped its trash on Barren Island off the south shores of Brooklyn. Barren Island was its own self-contained community and had a one-room school house, four saloons, and five factories boiling garbage all day, everyday. The buildings and island inhabitants–mostly immigrant Irish, but also some Black families–sat atop the constantly burning waste. The population of Barren Island rarely left their trash island. 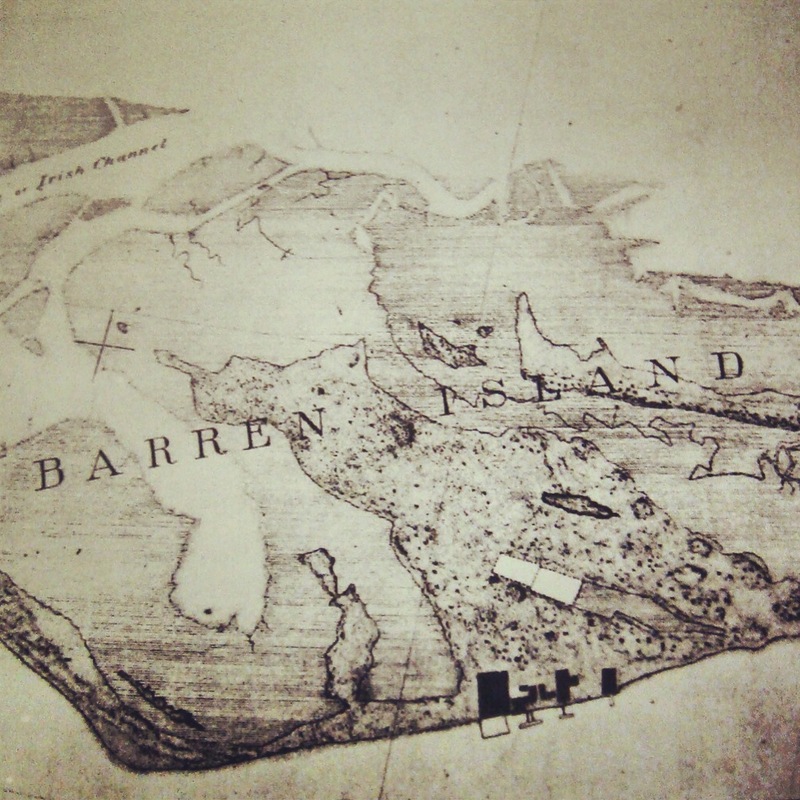 From 1850 to the final eviction of the community in 1936, Barren Island accepted waste from Manhattan, Brooklyn, and the Bronx, and all dead animals in the horse-powered city, which were boiled down into useable parts. During war time, the island factories were a major source of supplies for the nation. 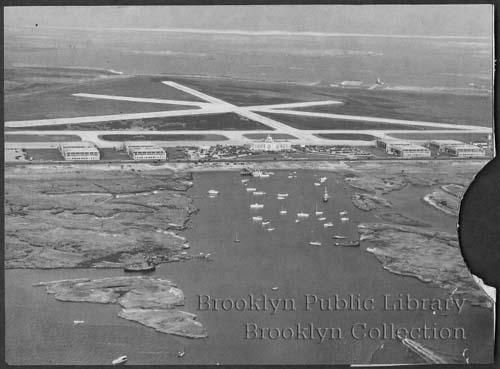 In 1926, Barren Island was buried and the spaces between it and the surrounding islands were filled to create New York City’s first municipal airport, Floyd Bennett Field. Six million cubic yards of sand were pumped from Jamaica Bay, raising the resulting peninsula to 16 feet above the high tide mark. “Dry fill,” or garbage free from organic material (or mostly free), was also added. The Barren Island community continued to live and work on Barren Island amidst the air traffic. 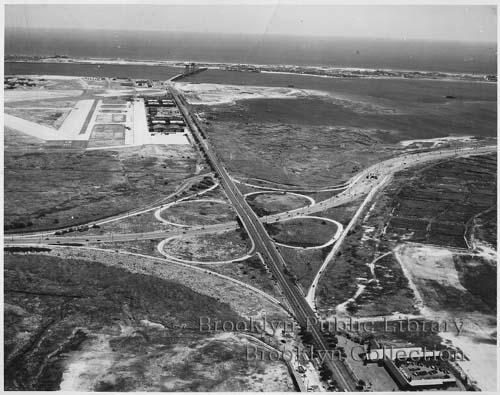 However, in 1936, infamous urban planner Robert Moses evicted the entire island population to make way for Marine Park Bridge. The cottages and remaining infrastructure were bulldozed to the ground. The landfill, the uppermost layer comprised of people’s homes, was capped. In the 1950s, the east shore of the cap burst, exposing the waste to the ocean tides. 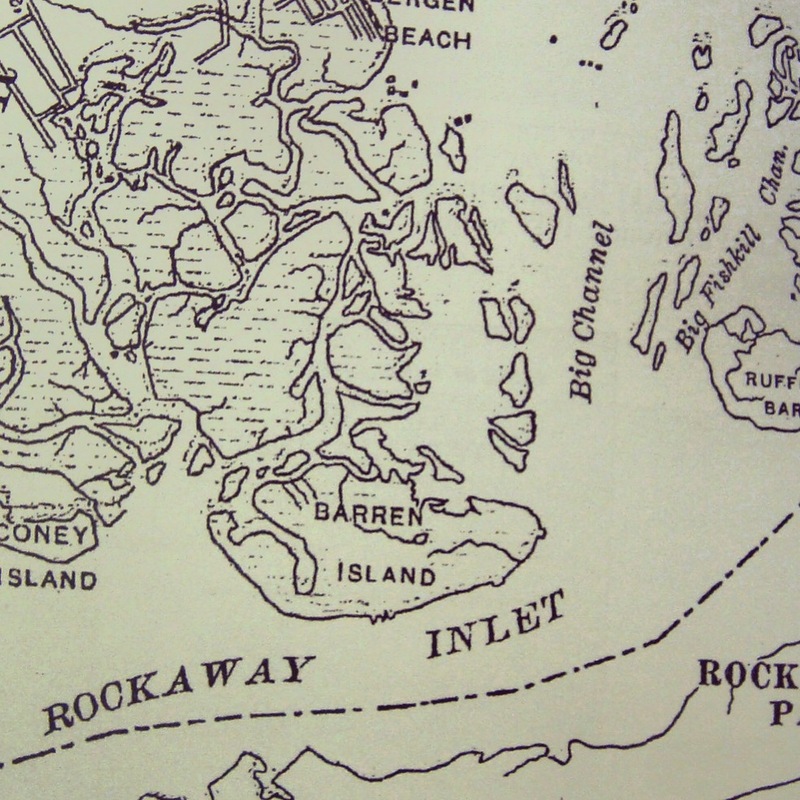 People who lived on the island still live in New York City, and trade memories in various online forums. Deadhorse Bay 18 years later, 1953. Deadhorse Bay, formerly Barren Island, and all of Floyd Bennett Field, is now a national park. The park inters nearly a century’s worth of the city’s waste, as well as the homes of former inhabitants. Despite its historic and protected character, however, the site is heavily scavenged. Many New Yorkers and tourists call it “Bottle Bay” and make the difficult trek there just to take glass bottles and other items. The only person on record who is able to take items from the area, Howard Warren, a New York City school teacher and neo-archeologist, calls scavengers “poachers,” angered at their willful erosion of a historic site. We want to remind people that taking items from Deadhorse Bay, aka Barren Island, aka Bottle Beach, is not only against the law, but also detrimental to future cultural and historical research. Since its inception as a dump in the mid nineteenth century, Barren Island has been a contested area, first by local landowners on the mainland who complained of the stench of boiling horses, fish, and fetid trash; then by government and business bodies who tried to gain the upper hand in post-waste resource allocation during the world wars; next by urban planners and residents of the island; and now by scavengers and those who wish to preserve the site. 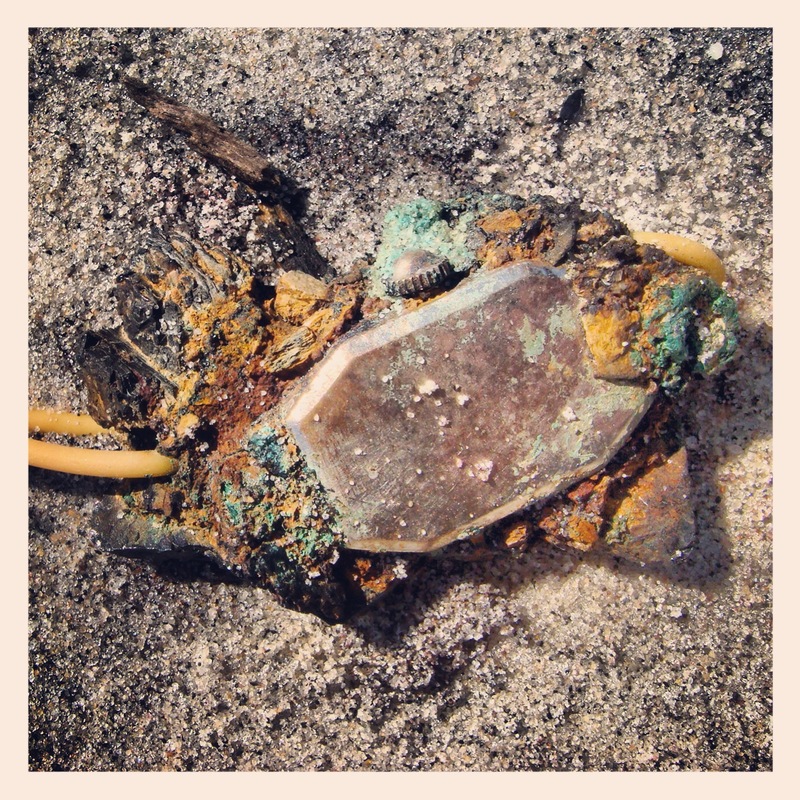 Many of the objects at Deadhorse Bay occur in these conglomerate forms, where heat and pressure in the original landfill partly melted and fused glass together with other objects, or, in this case, metal later exposed to salt water corroded objects together. Now, just a hint of the original watch remains. Photograph by Max Liboiron. Creative Commons License (see bottom of page). 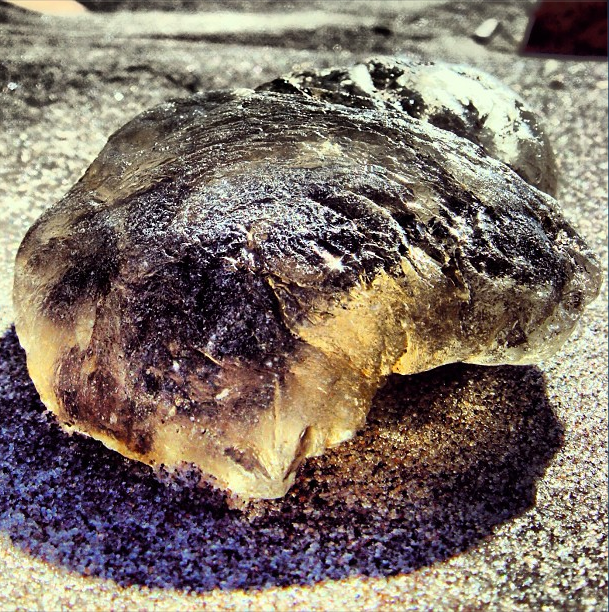 Much of the waste at Deadhorse Bay is glass. 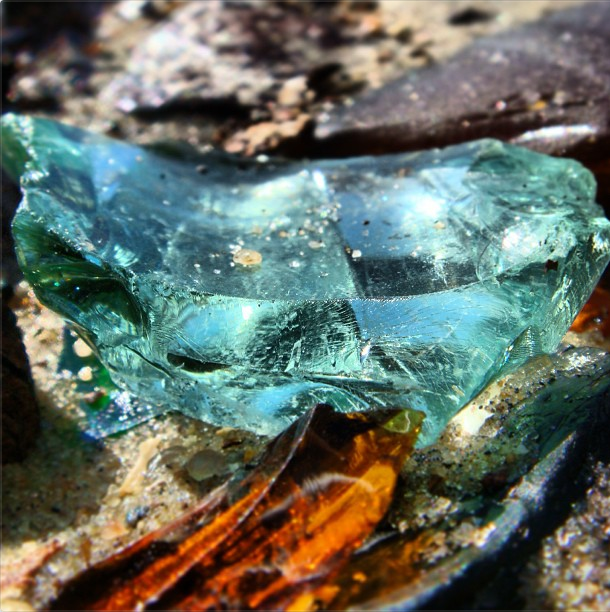 Scavengers tend to pass over broken glass in favour of intact bottles, the more valuable archeological specimens. Photography by Max Liboiron. Creative Commons License (see bottom of page). This is a piece of bitmus coal. One of the fascinating things about Deadhorse Bay is the dated character of the waste. 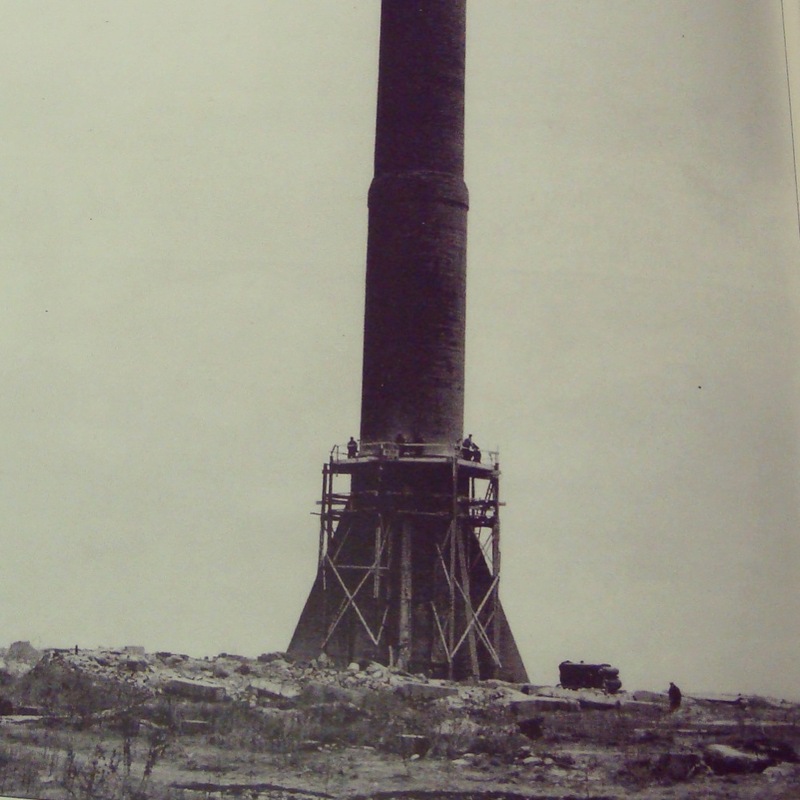 In the early 20th century, waste consisted of more coal, no plastic, and less food scraps than it is today, though the per capita tonnage remains about the same. Photograph by Max Liboiron. Creative Commons License. Some debris at Deadhorse Bay is not “original” to the landscape. 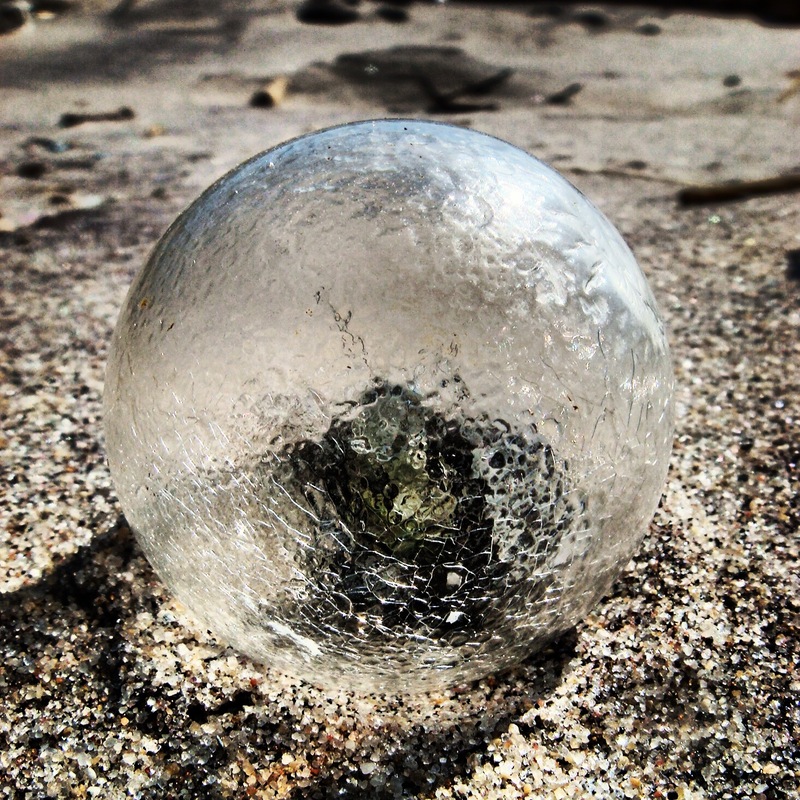 Chances are this rubber ball is washed up from the ocean. Photography by Max Liboiron. Creative Commons License. 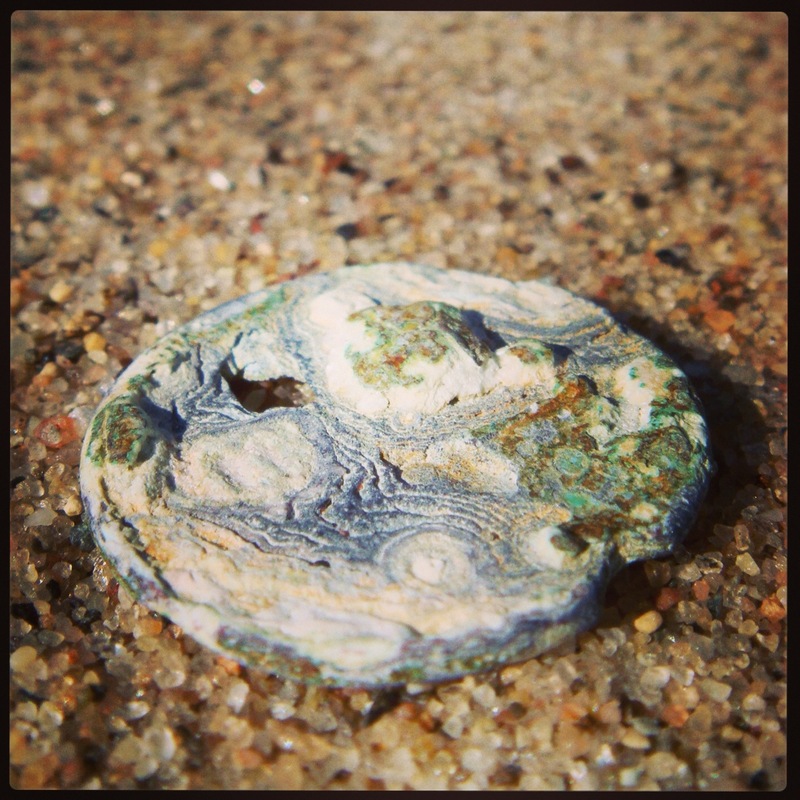 This is a penny after salt water tides have washed over it. Photograph by Max Liboiron. Creative Commons License (see bottom of page). 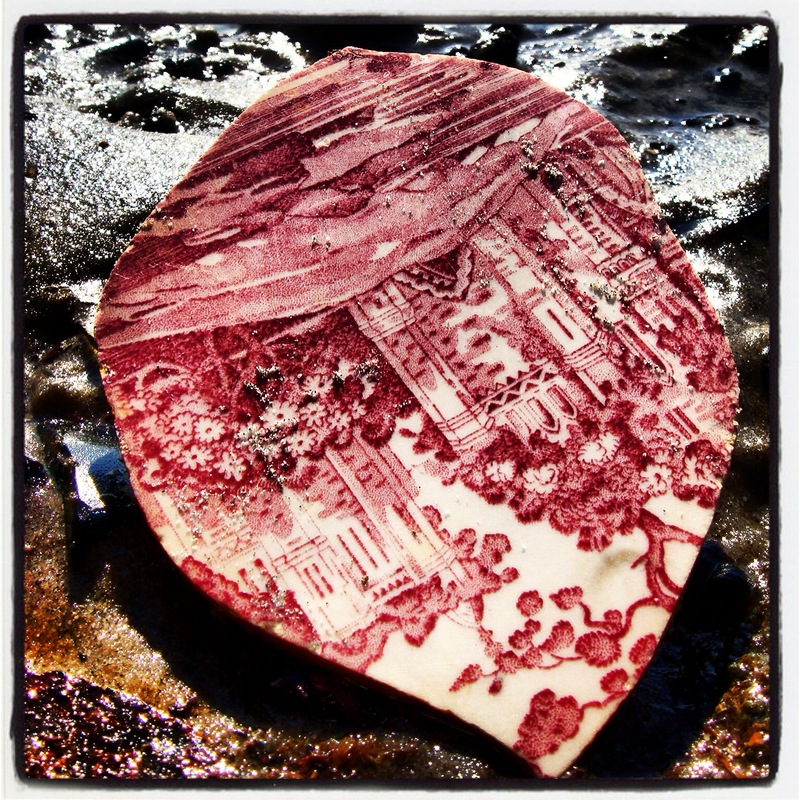 Portion of ceramic. Photograph by Max Liboiron. Creative Commons License (see bottom of page). 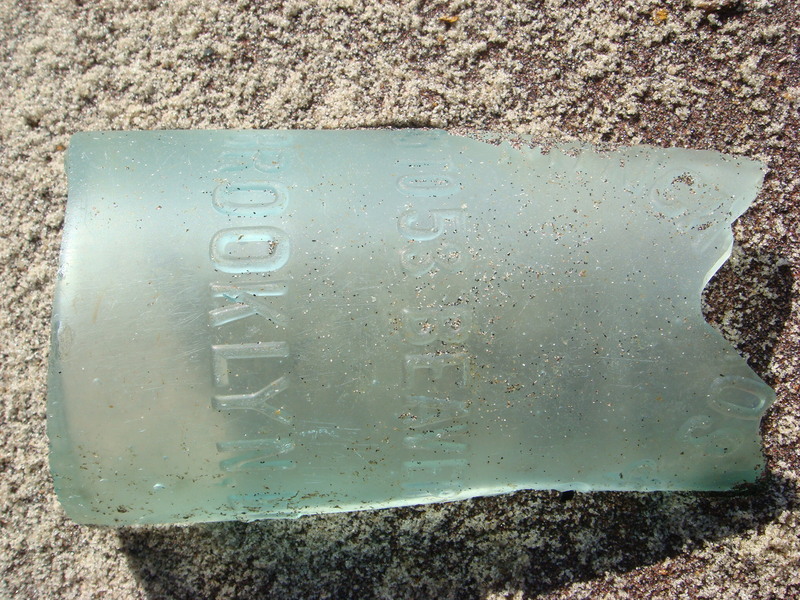 An intact Brooklyn-produced bottle is much sought-after by scavengers. Such items help illuminate the circulation of goods at certain points in history. Photograph by Max Liboiron. Creative Commons License (see bottom of page). A glass conglomerate. 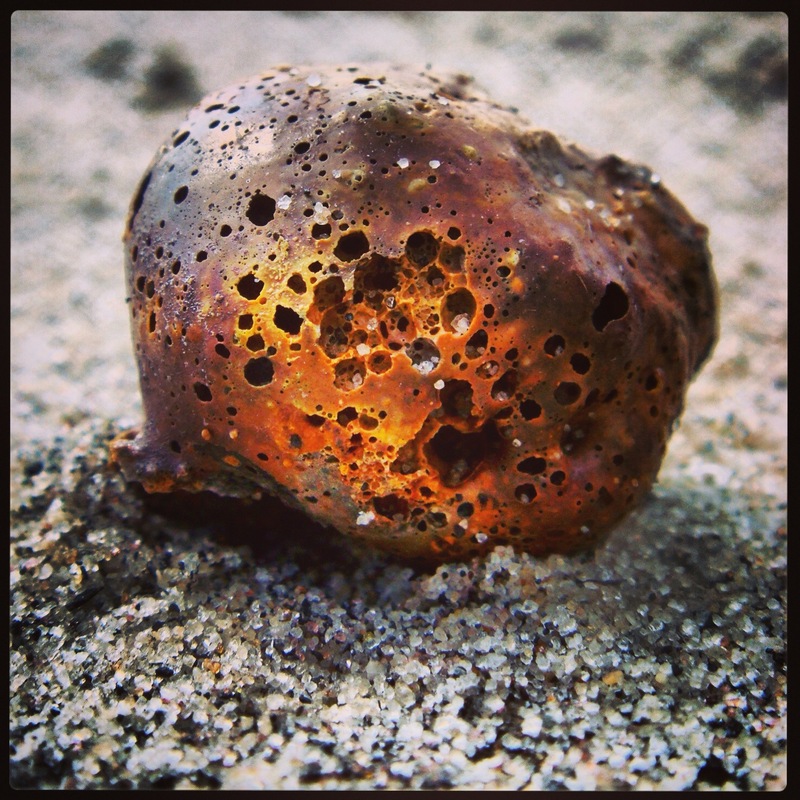 It is common in dumps, where heat from pressure, and even open fires (as was common on Barren Island), can make glass viscous. 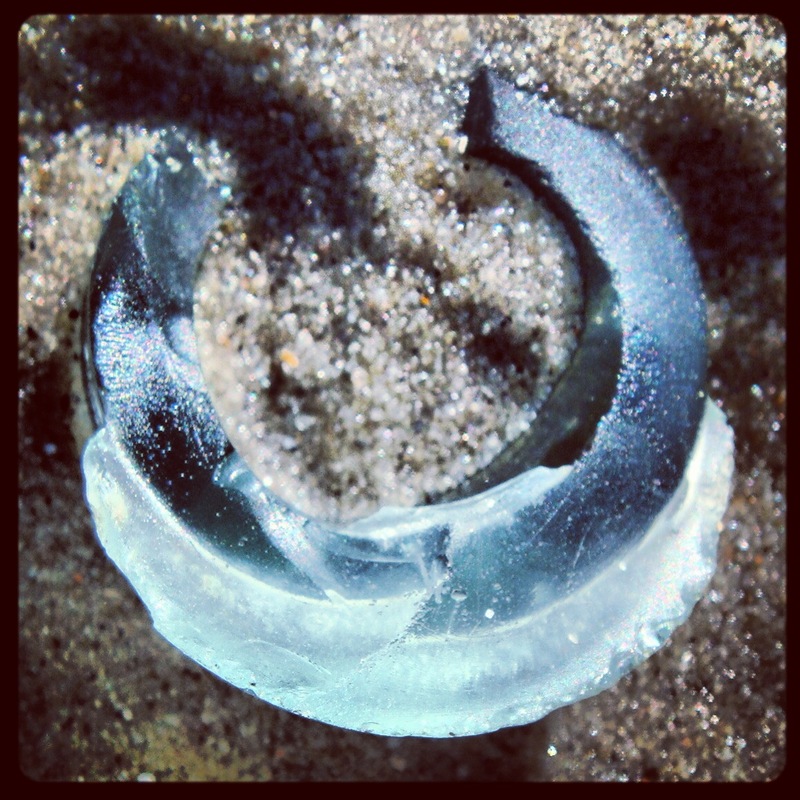 These glass lumps engulf nearby garbage to create crystalline waste pods of surprising beauty and longevity. Photograph by Max Liboiron. Creative Commons License (see bottom of page). This glass, on the other hand, is fresh and newly broken. Sometimes this is due to new glass coming up from underground, and sometimes the result of scavengers and other top-side elements breaking glass that was formerly intact. Photograph by Max Liboiron. Creative Commons License (see bottom of page). Howard Warren and his students research the waste at Deadhorse Bay, and have dated most of the waste escaping the landfill as circa 1930s. One of the dating methods is identifying objects like this. 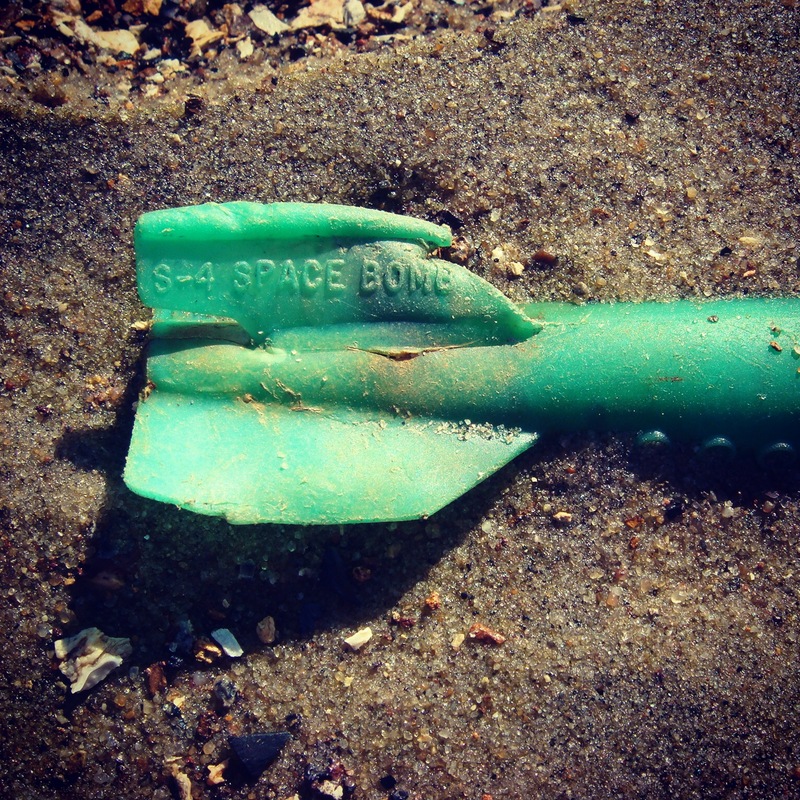 Plastics were introduced as consumer items on either side of World War II, and they can use the serial number on this plastic toy missile to identify when it was manufactured, and thus when it was probably disposed of. Photography by Max Liboiron. Creative Commons License (see bottom of page). 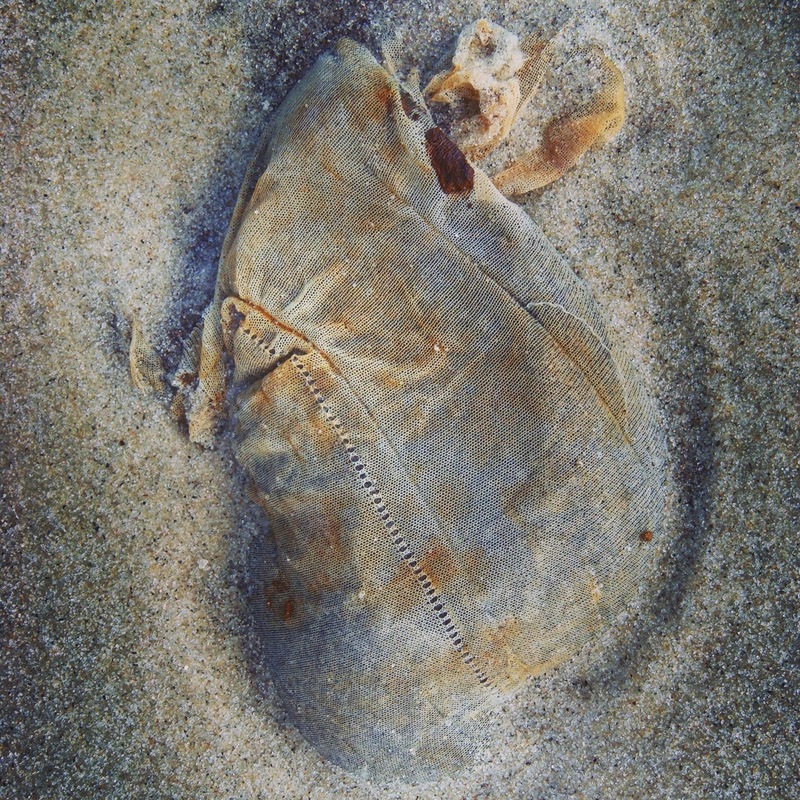 One of the more common items at Deadhorse Bay are synthetic nylon stockings. When synthetic stockings were introduced, tears and runs were not repaired. Instead, the entire stocking was thrown out. There are huge ensnared bundles of nylons, some filled with sand, some snagged on roots or branches, all over the beach. Photograph by Max Liboiron. Creative Commons License (see bottom of page). 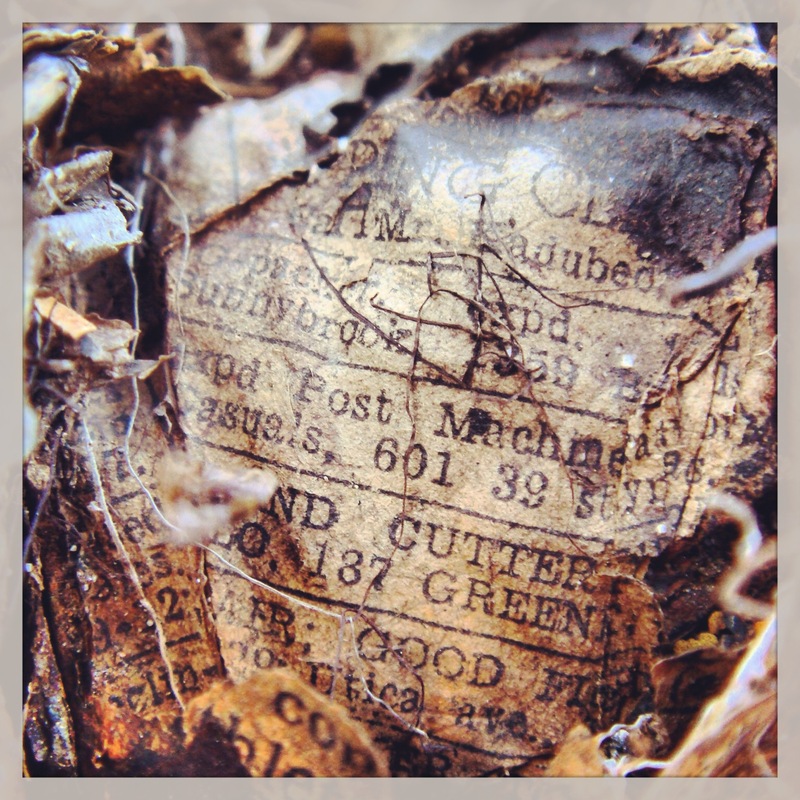 The late William Rathje, who studied contemporary society by taking core samples of landfills, showed us that in the oxygen-free environmental of a landfill, nothing decays, including newsprint. This newspaper is circa 1935. 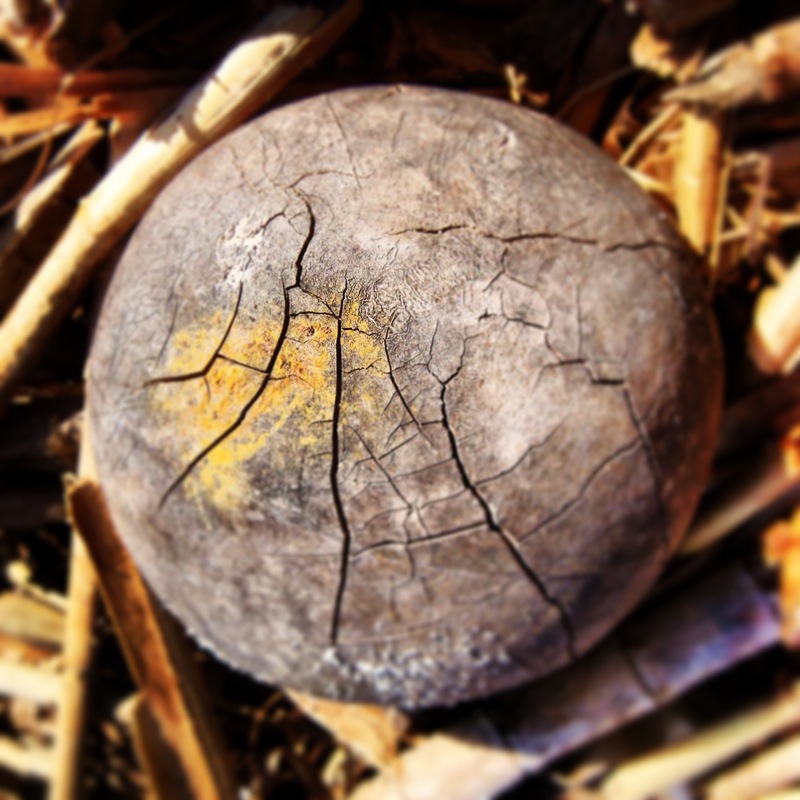 Once exposed to the light and water, it will decay quickly. Photograph by Max Liboiron. Creative Commons License (see bottom of page). Photography by Max Liboiron. Creative Commons License (see bottom of page). All Deadhorse Bay Portraits by Max Liboiron are licensed under a Creative Commons Attribution-NonCommercial-ShareAlike 3.0 Unported License. This entry was posted in Aesthetics, Art, Environment, history, Justice (EJ), Labor, Waste and tagged Barren Island, Bottle Bay, Brooklyn, Deadhorse Bay, floyd bennett field, National Park Service, neo-archeology, Poachers, preservation, robert moses, Scavenging, urban history, valuable waste. Bookmark the permalink.